There are an estimated 5 Trillion pieces of plastic in the ocean worldwide with 8 Million metric tons added to the ocean each year. Almost all the plastic ever produced still exists in some form. This year I am trying harder than ever to reduce my single-use plastic consumption. I’m guilty of posting too many beach pics. I acknowledge that. It’s something of an occupational hazard when you live in the Caribbean. One thing I’m not very good at though – is showing you the sad reality of some of these beaches. Pictures like this one… don’t often make it into my Instagram feed. Don’t get me wrong, the beaches of the BVI are stunning! They are award-winningly amazing. Constantly featured on World’s best lists. Wonders of the natural world and some of the cleanest stretches of white sand you’ll find anywhere in the world. The same goes for our incredible waters. Perfect for diving, kite boarding, sailing, swimming and every other water activity you can think of. But we’re not totally flawless. And we won’t always look that way unless we are careful to protect them. A small number of our beaches have already fallen victim to single use plastic pollution, and this includes the beach that I live on. As a leeward facing beach anything and everything gets washed up there! 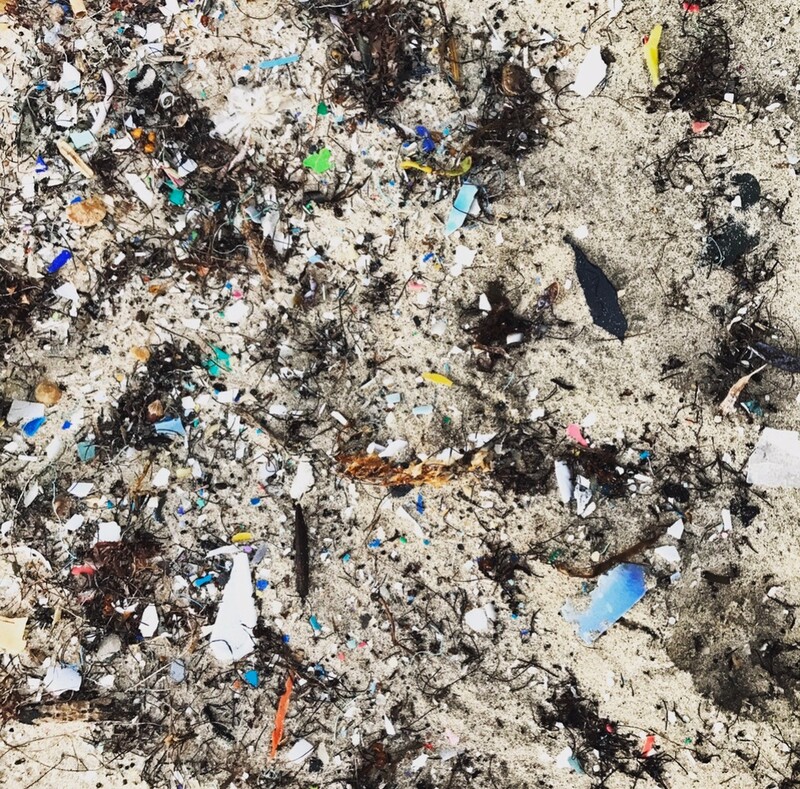 Sand that used to be full of sea glass and shells, is now getting choked up with tiny pieces of micro plastic. Pieces of plastic so small that even the most dedicated beach clean up crews would struggle to clear it. Living with this and seeing it on a daily basis has had a profound impact on my efforts to minimize single use plastic in my life. While on holiday in Sri Lanka last year, we found plastic pollution shockingly prevalent! I would hate to see the BVI go the same way. I’m certainly not perfect and I struggle with it every day. So often I am handed my drink in a plastic cup. Or my food in a styrofoam container. That straw that I specifically said I didn’t want still finding its way into my glass. And those times when I arrive at the supermarket checkout only to remember that my bags are at home. But I am trying, and every straw that I successfully decline or bag that I turn down is one less making it’s way to landfill. It all adds up! Little changes that I try to adopt every day will make a small difference. I’ve long been a fan of reusable water bottles, especially when I travel. Single use plastic bottles are one thing that I have managed to successfully eliminate from my life. I hate the thin crinkly plastic, the risks from BPA, the extra waste etc. Hi, my name’s Charlie and I carry a straw shopping basket almost everywhere… They are practical and stylish – Amazon.com has some really gorgeous options. 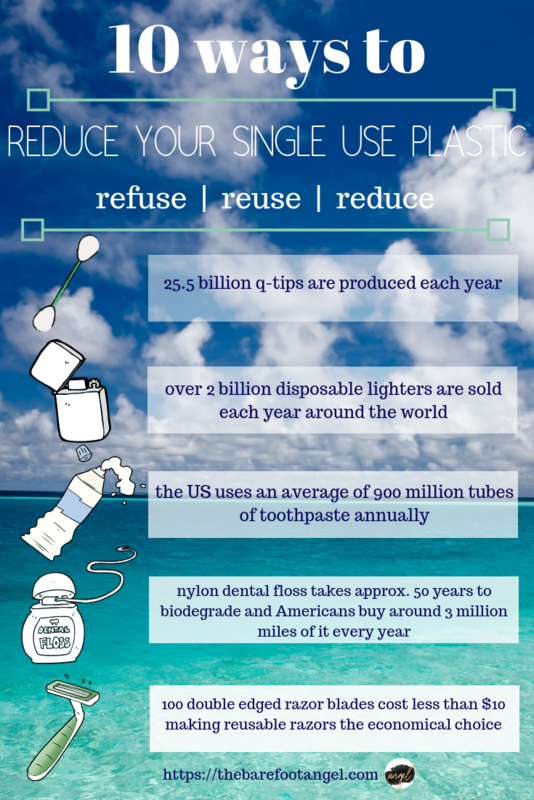 Do you know how much plastic you can save switching to bamboo toothbrushes? The average person goes through approximately 300 toothbrushes in their lifetime. And that’s a lot of plastic! 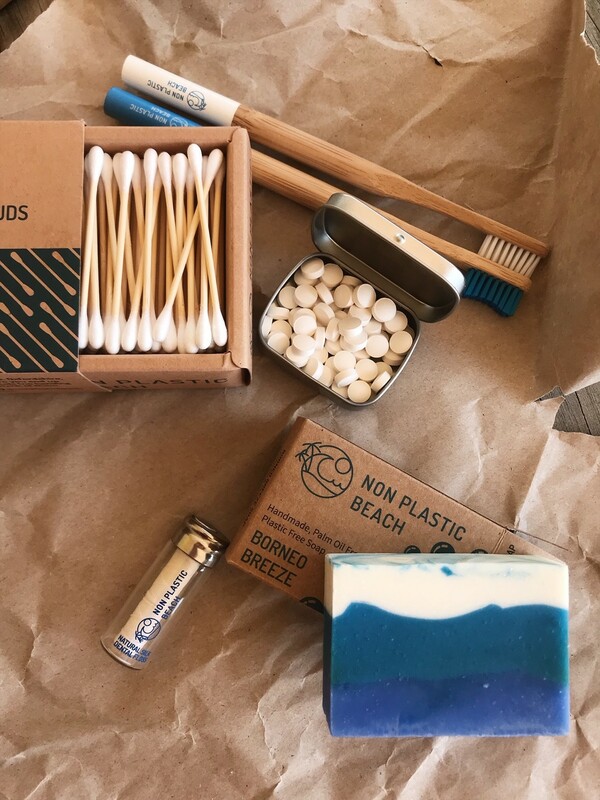 Recently Non-plastic Beach reached out to me and offered to let me try some of their all natural, bamboo and silk toiletries (more on the rest of them later) and I jumped at the chance. All the plastic in my bathroom hadn’t really occurred to me! I only received them a couple of weeks ago but I am already a total bamboo toothbrush convert. They are soft-bristled (which will keep my dentist happy) and I love the coloured designs (mine is white and the husband’s is blue). I can safely say that I see no reason to ever switch back to a plastic toothbrush. I’m completely addicted to cotton buds, I use at least one, every single day. I use them to touch up my make up and I use one to (very gently) dry my ears after the shower. (Fun fact: I’m susceptible to ear infections if I don’t dry them carefully). For ages I’ve hated the plastic cotton buds. I try to buy cardboard when I can, but they have a tendency to crumple and fall apart. 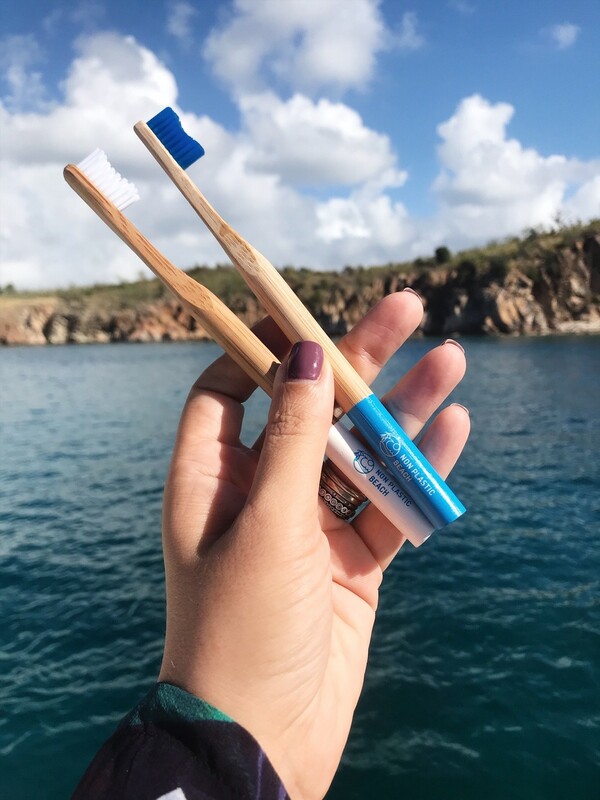 Non-Plastic Beach has beautiful and sturdy bamboo cotton buds. And they are great quality, the cotton doesn’t fall off the end or fall apart when you use them. These have been thoroughly trialed and I will definitely be ordering more. I have had mine now for several months and I love them. I usually use my copper ones but I have also tested out a bamboo one. I try to remember to carry them with me, as I do like to drink with a straw. I’m gradually starting to see an increase in paper straws being served at bars, which always makes me happy when I forget my own. 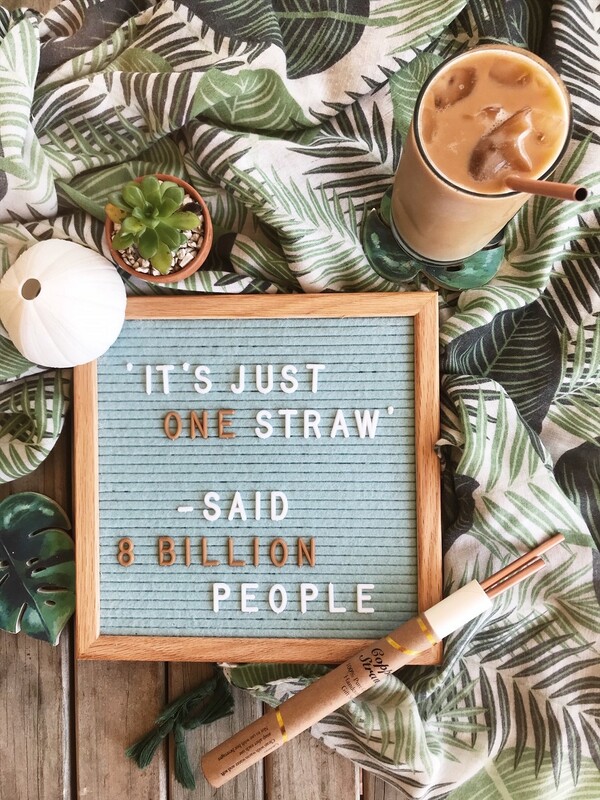 My friends at Find + Sea have recently launched their own bamboo straws, after seeing first-hand all the plastic pollution on their travels, and I am excited to order one! If I’m going out for a beach or boat day I often take my insulated tumbler with reusable straw. Not only does it keep my drink cold for longer but it means I can ask the bartender to fill that up – as many of the beach bars still sadly only offer plastic cups and straws. 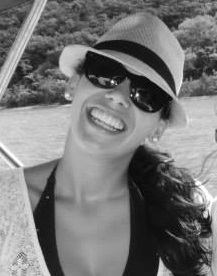 I would love to say that I am diligent about flossing (my dental hygienist would love that too) but I’m not. However, I have been trying out Non-Plastic Beach’s silk dental floss and I love it. For those times that I do remember to floss, I love having an alternative to the traditional nylon floss. Non-Plastic Beach sent me a box of their solid fluoride toothpaste tablets. To use you chew them until they form a paste and then brush as normal. I’ll be honest. This is probably their only product that won’t be making it into my daily routine. (I like a little more foam in my toothpaste and my usual whitening formula, that’s just a personal preference). But, I will definitely be taking them with me every time I travel. I like to travel with only my hand luggage and, in doing so, I have streamlined my toiletries. A solid toothpaste is ideal for travel. One less liquid item to get through TSA and no danger of getting minty goop all over my stuff if the cap comes off. Don’t forget to buy the handy little carrying tin. I’ve heard great things about the LUSH shampoo bars for the same reason, and I think that Non-Plastic Beach offer one too. 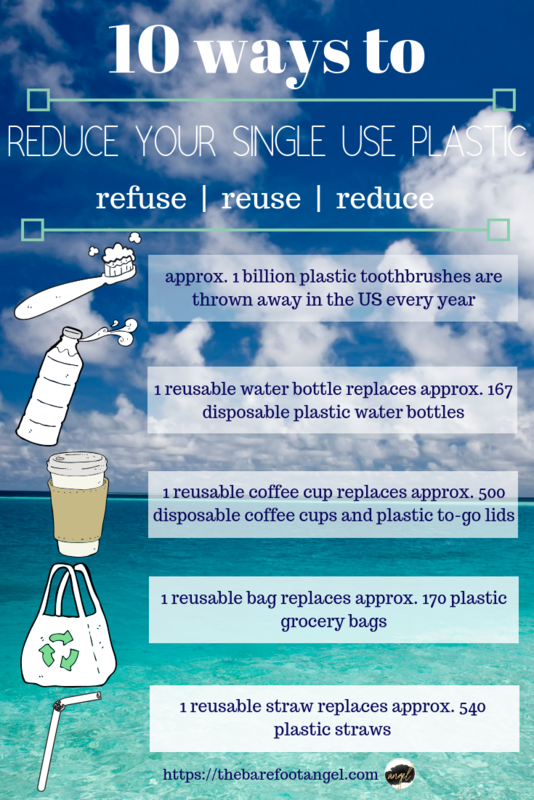 Experts estimate that one reusable cup saves up to 500 disposable cups and their plastic to-go lids. I have a white plastic Keepcup that I use, but I am loving the new toughened glass Keepcups. My husband was the first one to make the switch from disposable cartridge razors to a reusable safety razor and I am keen to copy him. I’ve been doing my research online and have plumped for the Weishi Chrome Long Handle Version Butterfly Open Double Edge Safety Razor. (There were a few female reviews which really helped my decision making process). I’m still waiting for mine to arrive but I have borrowed the husband’s (so easy when you can switch out the blades). Not only is this SO much better for the planet but it’s a good deal easier on your purse too. A pack of 100 blades is typically less than $10. There is definitely going to be a learning curve with this razor and it isn’t going to be a shave that you can rush, but I think that it will be worth the effort. Yup, I’m going there… This is a little more TMI than my usual style. But, given that the average woman uses 16,000 sanitary items in her lifetime, I think it’s enough plastic to warrant discussion. So often sanitary products are wrapped in plastic with plastic applicators and much of it is ending up in our sewerage systems and then our oceans. I’m sadly not one for a Moon cup, Diva cup or Lena cup. I tried, but it just didn’t work for me. And, because of that, I had to start researching my disposable sanitary products and trying to make better decisions about the ones that I was using. I had two criteria: organic cotton and plastic-free. Sky Organics is one of the only ones I’ve found so far which still has an applicator (but I would love more recommendations). I’m certainly not claiming to be living plastic-free, far from it unfortunately. Many of my favourite skin care brands and make up brands still package using plastic. But where I can make a change, I am definitely embracing it. And I’m hoping that more brands will start to become mindful of their packaging choices. 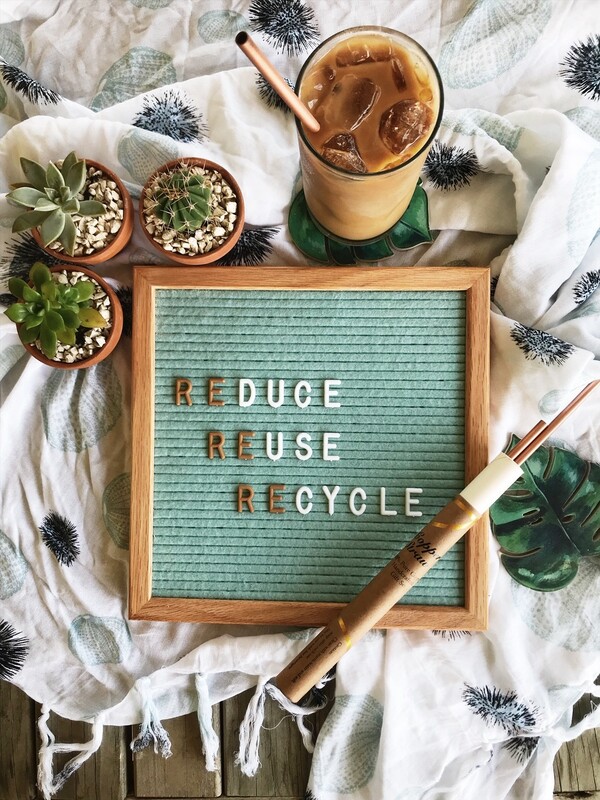 Tell me about any changes that you have made to reduce the plastic in your life! 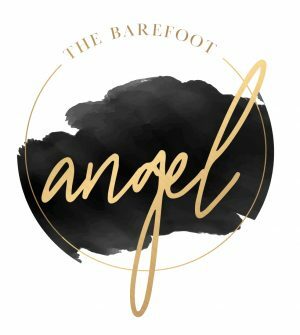 The Barefoot Angel received the Non-Plastic Beach items complimentary but was not obliged to leave a positive review. These are my honest, comprehensive thoughts on the products. Plastic stats are found here, here, here, here and here. There are some things on this list that I’ve never even heard of! Thanks for sharing, I’m definitely going to check some of these out! Haven’t tried the Silk dental floss and Toothpaste tablets, gotta try them for sure! I enjoyed reading your blog!